(Grand Junction) - The Rockies jumped out to a five-run lead as the Owlz lost their third consecutive game, 5-2 in the series opener at Suplizio Field on Sunday night. Hector Yan opened his outing with a scoreless first inning before the Rockies opened the scoring in the second inning. Javier Guevara started the second inning with a single and moved to third on a fielding error. With one out in the inning, John Cresto drove in the first run of the game with a sacrifice fly. With two outs in the inning and runners at second and third, Hunter Stovall pulled a double down the left field line to extend the Rockies' lead to 2-0. John Cresto continued his big evening in the third inning by crushing a three-run homer to left, pushing the Grand Junction lead to 5-0 before the Owlz got on the board in the fifth inning. Justin Jones started the fifth with a single and then came home to score thanks to a Johan Sala triple, cutting the deficit to 5-1. Rayneldy Rosario then made it a 5-2 game thanks to a groundout scoring Sala. 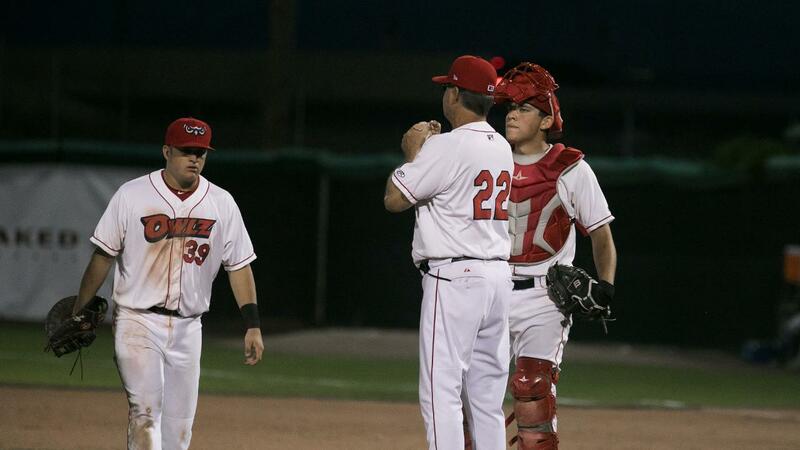 The Owlz bullpen shut the Rockies out from the fourth inning on but the bats could not finish the comeback, losing the opener by the score of 5-2. Rockies' starter Cayden Hatcher (2-0) allowed just two runs in five innings to earn the win while Hector Yan (0-4) was charged with the loss. Alexander Martinez (18) shut the door in the ninth, earning the save. The Owlz and the Rockies will finish the series Tuesday night at 6:40 from Suplizio Field.